Mauritius is a small island with a population of over 1.2 million. It is a very small country but with different cultures, religions and festivals. Due to their cultural diversity the Mauritians have a calendar in which many different festivities and holidays are celebrated. It is really fascinating to discover the Mauritian diverse cultures. Each culture has their traditions, beliefs and their festivals. Whenever you have the chance to attend such a festivity, don’t miss it. The religions found in Mauritius are mainly Christian, Hindu, Muslim and Buddhism. If you are visiting the country during one of the festivals you will always be warmly welcomed to join the celebrations and to learn about the local culture, belief and traditions. The Chinese Spring festival is usually celebrated by the Mauritian Chinese of Mauritius. The exact date of for the celebrations is determined according to the Chinese calendar. As part of the celebrations firecrackers are set off according to tradition to drive away the evil spirits. Families get together and celebrate the New Year with an abundance of food. At the end of the festivals, Chinese dancers will perform the Lion Dance. The festival celebrations include parades with figures of dancing dragons, lions and a fireworks show. The dominant color during this festival is the red which is the symbol of happiness. The main celebrations are held on that day in Port Louis in China town with Chinese Dragons, lion dances and fireworks. 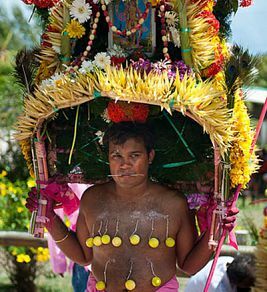 This religious festival is celebrated mostly by Indians of Tamil origin and is one of the most impressive festivals in Mauritius. The devotees are after a period of fasting, and many have their cheeks, tongues and chests pierced with needles before going to the temple with their offerings on their backs. The devotees who are considered to be in a trance, walk bare feet to the temple, while carrying on their back the Cavadee (an arc of wood, metal or plastic) symbolizing the sacred mountains. The Cavadee is covered with flowers and with a pot of milk. The arc is laid down in the temple at the feet of the statue of a divinity. As part of the ceremony there is also a fire-walking and sword-climbing rituals which are quite spectacular. This is the Tamil day of the remorseful, which is celebrated with ritual mortifications, washings and fasting. This festival is celebrated by all Hindus at temples throughout Mauritius. The streets are filled with devotees carrying flower covered wooden arches and pots of milk. Some devotees fulfill their vows by skewering their tongues and cheeks in homage as part of their worship to the second son of Lord Shiva. The maha Shivaratree is celebrated every year in honor of the Lord Shiva. The Maha Shivatree is a three-day Hindu festival, during which thousands of Hindus pilgrimage to Grand Bassin to sanctify themselves in the water of the lake. 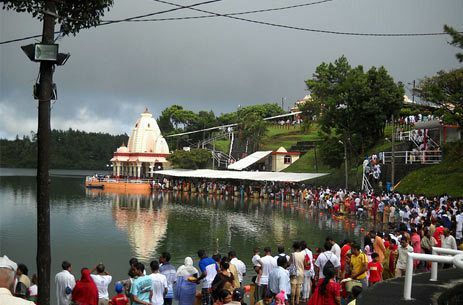 Grand Bassin is a holy lake for Mauritians of Hindu faith. It is said that the water inside the lake communicates with the waters of the holy Ganges river of India. Once at the Grand Bassin, they make food sacrifices and fetch holy water from the lake. The participants are dressed in white, while carrying bamboo contraption on their shoulders as a sign of sacrifice. The whole scene is reminiscent of the great rituals on the banks of the Holy Ganges in India. The Holi festival is an Indian festival of fire and colors. The Hindu population in Mauritius, celebrates the festival by splashing everyone who crosses their way with colored water and powder, and with singing and dancing. On this day there are Parades and festivities, held in memory of the foundation of the state of Mauritius on March 12th, 1968. The Ganesh Chaturti Festival is celebrated by the Hindus which commemorates the birth of the God Ganesh. On this day the Hindus will go to riverbanks or beaches with small replicas of the elephant head God, these replicas need to be immersed in water before sunset. Each year on the 9th September (the birthday of Blessed Father Jacques Désiré Laval), Mauritians of all ethnic groups visit the tomb of Father Laval in Sainte Croix, Port Louis. Jacques Desire, born in 1803 and came to Mauritius in 1841, was a French missionary and doctor, who is believed to have had miraculous healing powers. He was the first person beatified by the Pope John Paul II after the latter became pope. Jacques Désiré Laval became the protector of the slaves' community and has become the symbol of compassion and love. The Eid-Ul-Fitr Festival is celebrated by the Mauritian Muslim. The Eid-Ul-Fitr is celebrated at the end of the holy month of fasting which is known as the Ramadan. The Ramadan is a period of around one month during which the Muslim fast during day time. All Muslims celebrate this day with prayers at the mosques where food and cakes are shared. As part of the celebrations the participants exchange gifts with the relatives and make donation to poor people. The Divali is celebrated by the Hindus. It marks the victory of good Rama over evil Ravana in the epic Indian poem. During this night as from six o’clock all Hindus and many Mauritians decorate their homes with small oil lamps, candles, clay lamps or electric bulbs. Nowadays also a lot of houses are decorated with electrical lights chains and also some of the main streets are lighted with special light decorations. This is why this festival is also known as the festival of lights. Cakes are cooked and shared among families and neighbors on that day. The day following the all saints day, tribute is given to all the deads. This is a Christian festival where people go to mass before going to leave flowers on the tombs. 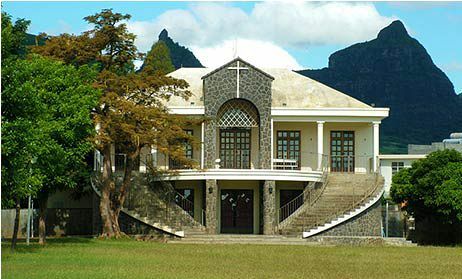 Mauritius has a big Christian community, mostly of Catholic faith. This is why Christian holidays and celebration like Easter and Christmas are celebrated in Mauritius with almost the same tradition as in Europe. You will find the traditional Easter chocolate eggs during Easter and Santa Claus and Christmas trees during Christmas.